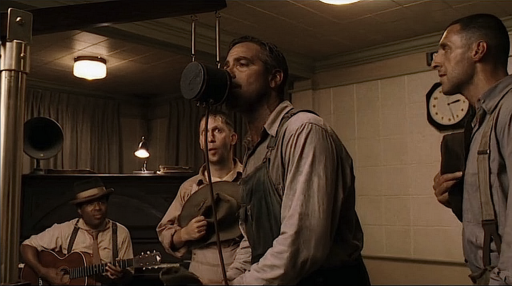 The 2000 Coen Brothers movie O Brother, Where Art Thou? gave the world a birds-eye view of the richness– and the beautiful simplicity– of rural American music traditions. Welcome to another episode in our “Chord Progressions” series! 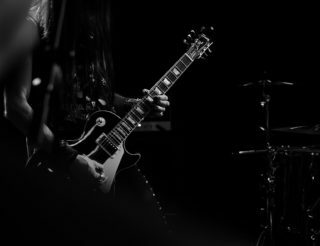 We sincerely hope that after reading these articles you’ll come away inspired and empowered in your favourite genre and even be ready to branch into others, making you a more versatile and sought-after guitar player. Today we’re going to introduce you to the genre founded on the simplest and most common chord progression in Western music: I-IV-V-I. (In the key of C-major, for example, this would be C-F-G-C.) We’re going to touch on the history of country music, talk about what makes it different, and bring you some shining examples to play. A chord progression is simply the series of chords you play to go along with a tune, and as we’ve already explained in earlier articles, the chord progression is one of the musical elements that give a genre its special sound, setting it apart from the others. 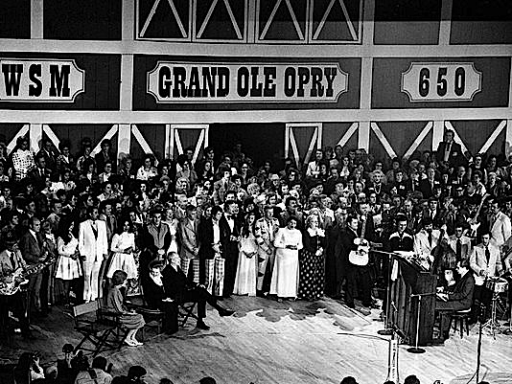 The Grand Ole Opry in Nashville Tennessee was traditionally the place where aspiring country musicians of all stripes had to go to prove themselves. The Roman numerals are what we use to describe positions in the scale, I being the first, II the second, and so on. It’s important to know which of the chords in a key are major, which minor, and which diminished, and this is determined by whether you’re playing in a major or a minor key. That being said, Roman numerals aren’t used in this way by Nashville musicians, who use the more common Arabic numerals (1, 2, 3, etc.). We’ve included both in case you’re used to the Roman numerals. When we speak of a particular chord progression we’re referring to the chords used for an eight-bar musical phrase, as the eight-bar phrase is one of the basic units in Western music. The composer usually repeats the same progression twice, then adds eight bars of a different progression, and then repeats the first progression. Some musical genres like to be different and challenge this established pattern, but with a few exceptions country music sticks pretty close to this arrangement. So How are Country Chord Progressions Different? That’s just it– they’re different because they stay the same! Country music is notorious for not challenging musical conventions. 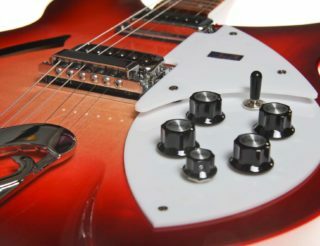 Country music also avoids other musical innovations such as bridges with key changes in the middle of a song, as well as adding “extra” notes to a basic triadic chord: A G7 is pretty much the norm, but 6th, 9th, and 13th chords are definitely out. Many country songs don’t even have a chorus! To top it all off, most of the tunes are limited to the major keys G, A, C, D, E, and F, and because all of the chords in the I-IV-V-I (1-4-5-1 in Nashville) progression are major, there are no minor chords in the basic structure. If you do find a minor chord in a country progression, it’s almost always a VI (6). Simple chord progressions are not to be counted among country music’s faults. Before you look down your nose at country music for being too musically simple, think again. There may be other reasons to think ill of country songs (depressing lyrics, whining vocals, and hideous outfits topping the list), musical simplicity is not one of them. Remember our KISS rule? “Keep it simple, stupid” not only adds serenity to life, it can be the foundation for the most popular and timelessly appealing of songs. What keeps country music listenable and vibrant is what creative artists do within the strict limits of the I-IV-V-I progression. Robert Frost, when asked why he stuck to rules of grammar, rhythm, and rhyme in his poetry, confessed, “I like to play tennis with the net up.” Sometimes it takes challenging limitations to bring out the best in art, which is why country music has produced some of the greatest guitar players of all time. 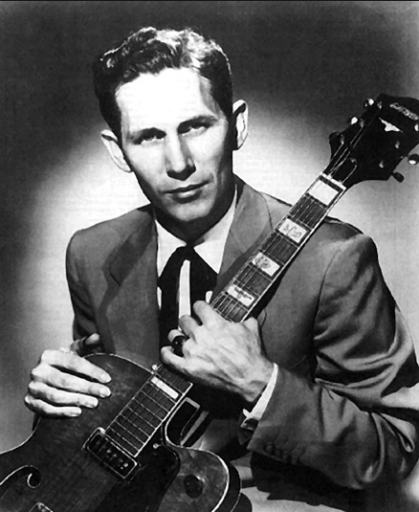 Within the strict confines of country music, Chet Atkins made good use of a magical bag of musical tricks. But there’s another reason why the simplicity of the I-IV-V-I progression has endured: it’s so democratic! You don’t have to be rich or educated or high class to master country music. Anyone with talent and a box with strings can make music, and lots of these people can get together to play the songs they all know. As for audiences, well, you don’t need musical sophistication to “get” country music. Because of this availability to the poor, marginalised rural folk, country music traditionally has given voice to the emotional authenticity that only such people can bring. 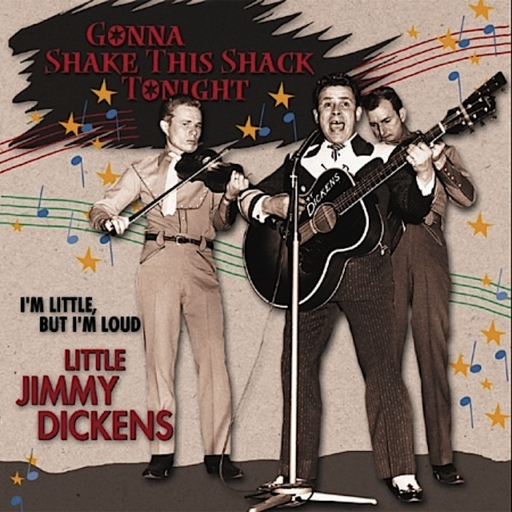 Old Time music (sometimes written as “Old Tyme” or “Old Timey”) is the most authentic, the oldest, and the purest form of American country music. If you go into it deeply enough you’ll find echoes of the Celtic modes, melodies, and lyrical themes that inspired it. Many of the songs, for example, “Lord Randal,” were actually brought to America from the British Isles, where they’re still sung in very different versions. Old time music isn’t held to the same restrictions as bluegrass or commercial country music because of some stranger elements that the other two subgenres later weeded out, but the basic I-IV-V-I structure was its bedrock. It’s mostly in Old Time music that we find that “high, lonesome sound” often referred to when talking about the most haunting of country songs, that strange modality that makes you think of a strong wind moaning through the pines near a narrow mountain pass or the howling of wolves in dark hollers. 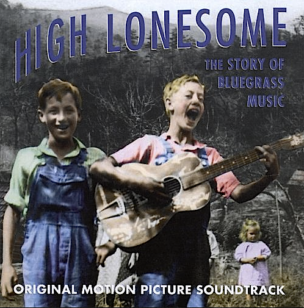 What are the elements of the “high, lonesome sound?” The addition of the minor VI chords to the basic I-IV-V-I, some weird banjo tunings, double-stringing on the fiddle, tragic lyrics, and an impassioned vocal delivery are some of the elements, but it’s still a mystery where that haunting sound comes from. Bluegrass is a relatively new phenomenon in American music, having been almost singlehandedly created by Bill Monroe in Kentucky in the 1940’s. The new genre was largely based on Monroe’s Old Time musical background, but a fact seldom acknowledged is that bluegrass music is heavily indebted to American slaves. The southern states where bluegrass originated often sheltered escaped and later freed black slaves in the mountains, where their influence on the folk music there eventually became a component of bluegrass. 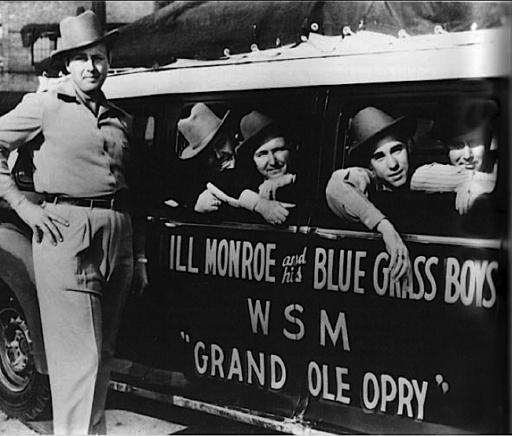 Bill Monroe often insisted that his new musical development was a product of listening to southern black music, saying that the name “bluegrass” didn’t refer to the bluegrass of Kentucky but rather to the genre’s rural and blues roots. Within this narrow form, a surprising amount of musical invention emerged. For one thing, bluegrass reintroduced polyphony— the harmonious mingling of two or more instruments playing different tunes at the same time. The strict chord formula allowed each musician in a four or five piece bluegrass band (always consisting of guitar, bass, and banjo and sometimes also fiddle, mandolin, drums, and steel guitar) to play rhapsodic trills and ecstatic runs, making it all come together brilliantly. 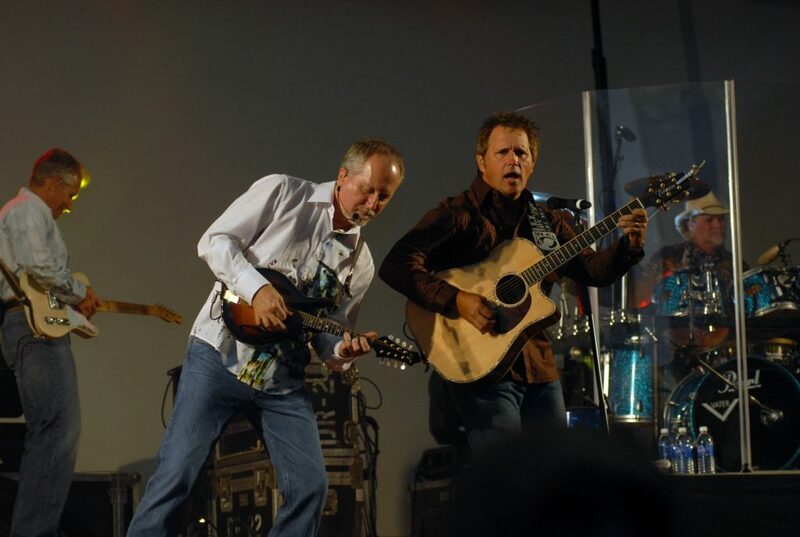 Another delightful innovation in bluegrass is the use of the five-string banjo, an instrument granted more freedom than any other instrument in bluegrass bands (possibly because of its loudness). Bluegrass banjo players can choose from a host of banjo tunings in order to change the mood of song. 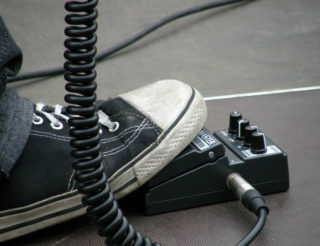 They can also change tunings in the middle of a song, making the tuning sound musical in itself. They can sing together in four-part harmony. They can do amazing solos. But enough talk. Time for action. Get out your axe and your Uberchord app and try these tunes on for size. Each one of these song examples employs the I-IV-V-I progression, but with very different styles and sounds. For lack of space, we’ve only included the first verse and chorus of each song, but the rest of the lyrics are easy to find online. I’d quit my sinnin,’ and I’d work on a buildin’, too. I’m workin’ on a buildin’ for my Lord, for my Lord. One of the best things about country music is the way it uses plain language to express timeless truths. This classic is a prime example. Thanks again, Johnny— there’s no better time for this song than right now.